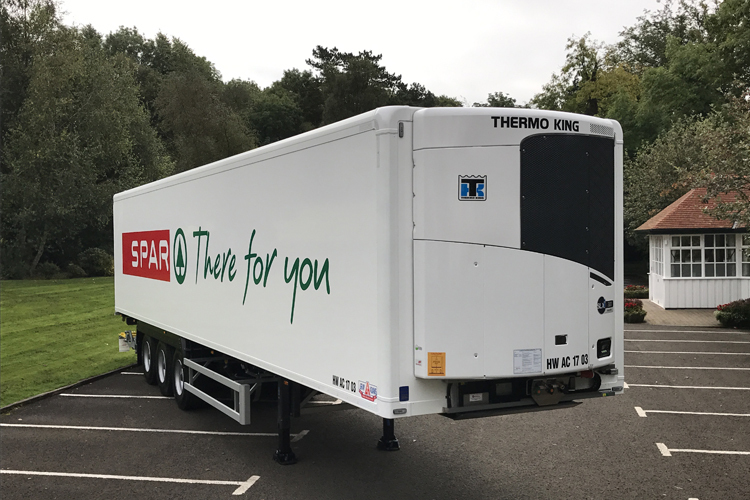 SPAR UK Partner, Henderson Group, owners of SPAR and EUROSPAR in Northern Ireland, has upgraded its refrigerated delivery fleet with the more sustainable SLXi units from SPAR International Preferred Supplier, Thermo King®. A leader in transport temperature control solutions, the new Thermo King SLXi 300 Whisper™ units will help Hendersons with the delivery of temperature sensitive products to retailers, thanks to the telematics and communication capabilities, lower fuel consumption and enhanced temperature management options. The Whisper noise reduction kit also helps lower the sound levels of the units, which allows Hendersons to further minimise disturbance during deliveries. All Thermo King SLXi units feature next-generation, lower global-warming potential (GWP) R-452A refrigerant, which is in line with Henderson’s sustainability approach and lowers the environmental footprint of their transport operations. The SPAR UK Partner has worked closely with Technical Transport Product (TTP), the “Platinum status” Thermo King dealer in Northern Ireland, which provides extensive support and covers the service and maintenance contract. “We have worked together with Henderson Group for many years. We provide them with support and service on site and in our workshop to make sure the uptime of the equipment is as high as possible so that they can plan their logistics in the most efficient way,” said Tracy Martin, Owner of TTP. SPAR International invited Thermo King to present at the 2017 edition of its annual Logistics and Technology Conference (LOGIT) in Northern Ireland. Thermo King joined around 100 SPAR delegates from all over the world and showcased best practice examples and its complete product portfolio ranging from diesel, hybrid and cryogenic, to all-electric transport refrigeration units.